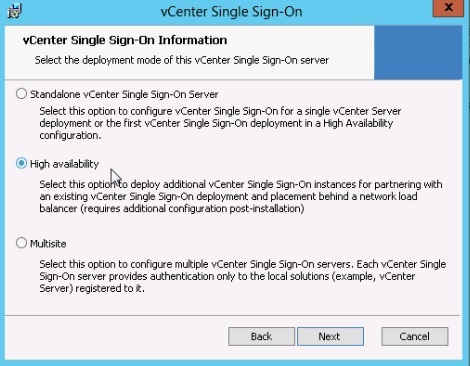 Deploying a Centralized VMware vCenter Single Sign-On 5.5 with Microsoft Network Load Balancer. This blog is about configuring the vCenter SSO LB using the Microsoft Load-Balancing Manager , I have noticed that lot of blog and KB mentioning about the configuration of the LB using F5 , Citrix NetScalar and VMware Edge but not using the Microsoft LB which is very easy and no need any external requirements like addtional Load Balancer or any Appliance . Anyhow as per the VMware they wont support for any third-party product so going with Microsoft LB doesn’t make any difference. 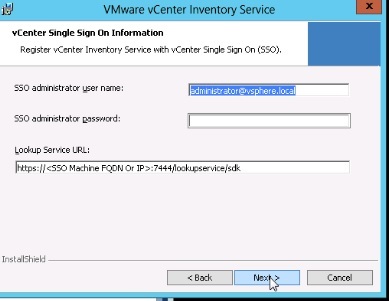 I have followed the VMware document in this blog for configuring the SSO LB Setup. 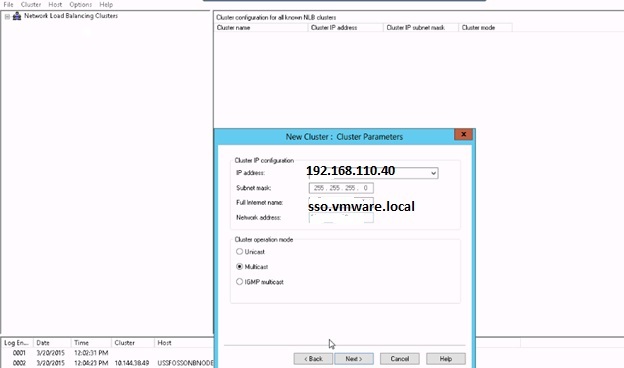 VMware recommends the centralized SSO server when we have 8 or more vCenter server are present in our location. PIC is taken from the VMware. We need two VMs for the SSO LB with the Load Balancer IP. Download the latest vCenter Server ISO for the SSO installation. Need Microsoft Visual C++ 2008 Redistributable Package.Pls note we need 32-bit because OpenSSL tool has a dependency on the same. Depoly the first vCenter Single Sign-on Installation. Select the First vCenter Server below option. Select the Site name – Select the SSO Port Settings – Finish the Installation. 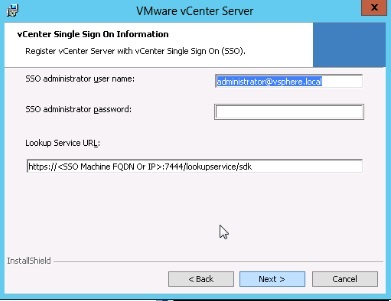 Connect to the vCenter Server ISO on the second server sso2.vmware.local. Provide the Partner host name as sso1.vmware.local and provide the password for the built-in administrator@vsphere.local account used with sso1.vmware.local and click Next. 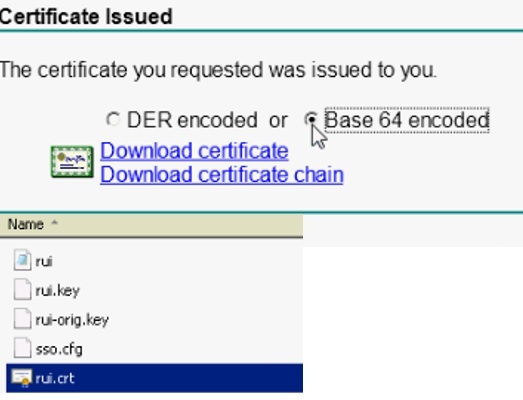 Accept the host certificate and give Next and Complete the Installation. vCenter Single Sign-On Certificates . All vCenter Single Sign-On servers that participate in the loadbalanced configuration require certificate updates. In our example, we will use a Microsoft certificate authority (CA) as our trusted root authority and will generate certificate requests with OpenSSL. Open the CMD Prompt with Administrator Rights and run the below command to create the certificate request and export the private key. openssl req -new -nodes -out c:\certs\sso\rui.csr –keyout c:\certs\sso\rui-orig.key -config c:\certs\sso\sso.cfg. This will create an eight-digit hexadecimal value that will be used below. 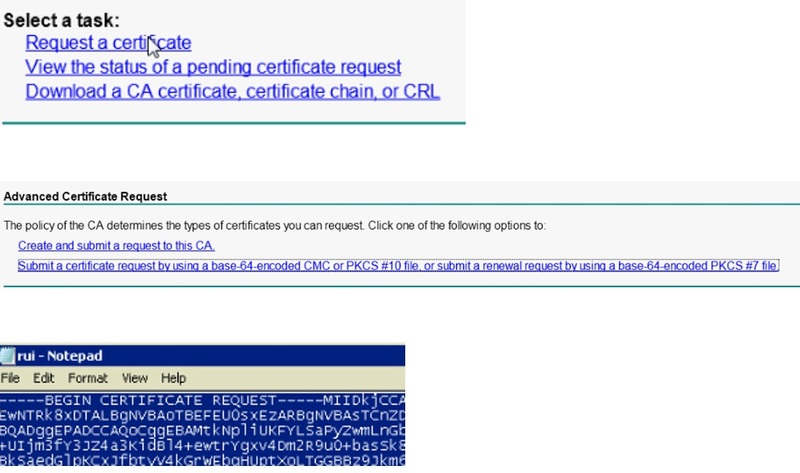 To change the vCenter Single Sign-On server configuration to reflect the NLB, with a text editor, create three text files within the C:\certs directory and name as shown. description=The Security Token Service of the Single Sign On server. 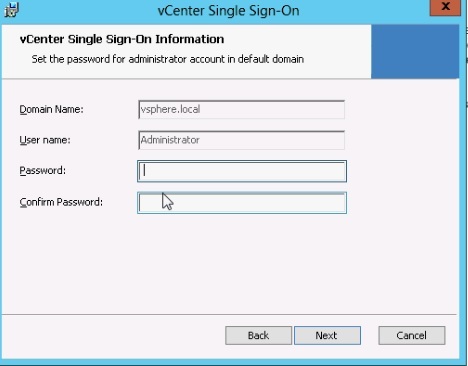 Before we can update the vCenter Single Sign-On service information, we must add the sso.vmware.local into the local host files, because this entry will create an error prior to configuration of the load balancer. Pls note if we are not adding the entry then we will receive the below error when we running the ssolsclt to update the service. Restart the VMware Security Token Service and repeat the command. 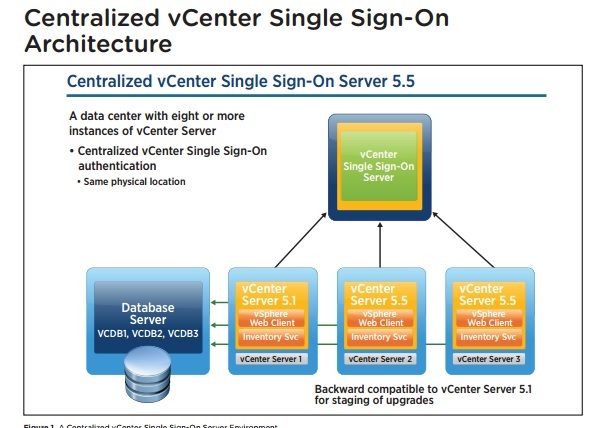 Confirm that the updates have been applied by listing the vCenter Single Sign-On services. The endpoints entry should now show the load balance URL sso.vmware.local for each service. 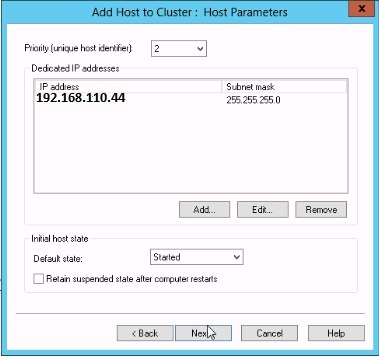 Remove the temporary host entry applied to the local hosts file by deleting the sso.vmware.local entry. 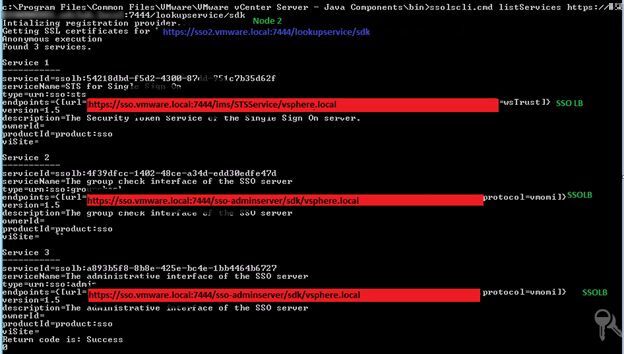 Log in to sso2.vmware.local and open an elevated command prompt. Confirm by typing the following that the updates have been applied on the both the nodes. The endpoints entry (line 4) should now show the load balance URL sso.vmware.local for each service. Remove the temporary host entry applied to the local host’s file by deleting the sso.vmware.local entry. 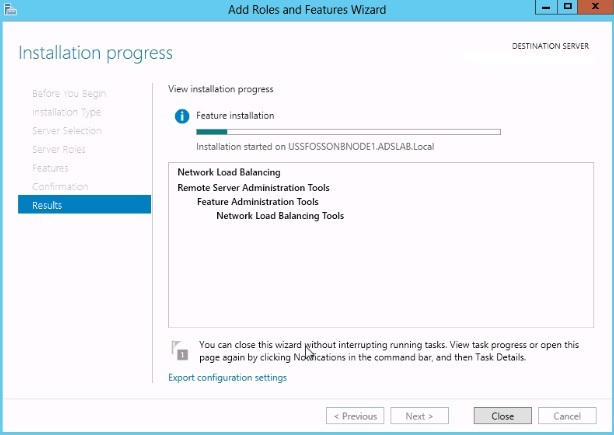 Next comes the Configuring the Microsoft Network Load Balancer. 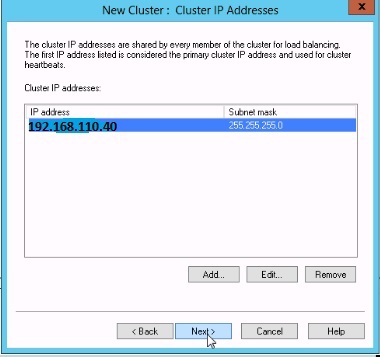 All hosts in the cluster must reside on the same subnet. There is no restriction on the number of network adapters on each host, and different hosts can have a different number of adapters. Within each cluster, all network adapters must be either multicast or unicast. NLB does not support a mixed environment of multicast and unicast within a single cluster. If you use the unicast mode, the network adapter that is used to handle client-to-cluster traffic must support changing its media access control (MAC) address. Only TCP/IP can be used on the adapter for which NLB is enabled on each host. Do not add any other protocols (for example, IPX) to this adapter. 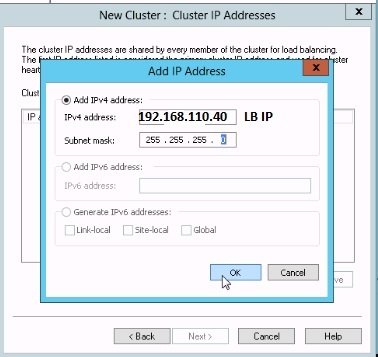 The IP addresses of the servers in the cluster must be static. 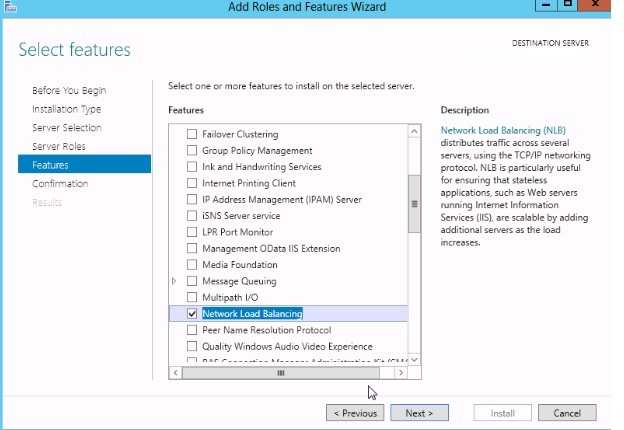 Install the Network Load Balancer Feature on both the nodes. 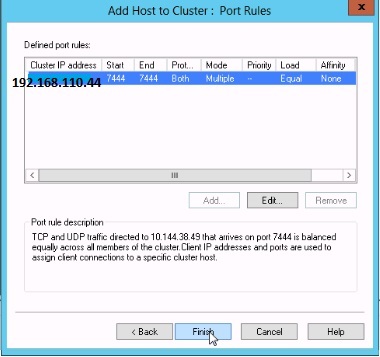 Add the second NIC on both the nodes and assign the Static IP with the same subnet of the load balancer IP. Open the Network Load Blancing Manager form the administrative tools on Node1. 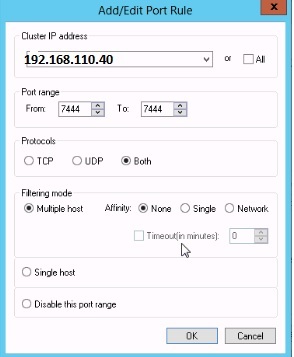 Connect the Node 1 and select the second NIC IP. 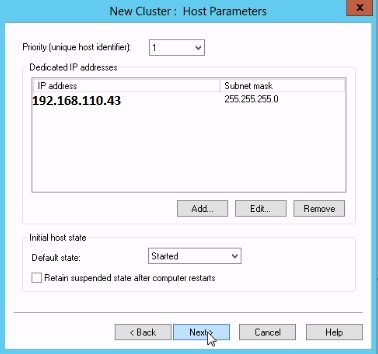 Priority Unique Host Identifier should be 1 for the top and 32 for the least priority and we should not have the same number on other nodes in the cluster. 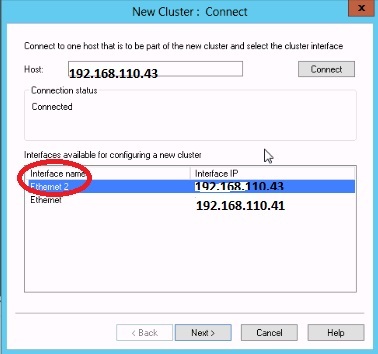 Initial Host State – It is for to mention when can be the host to re-join in to the cluster after reboot , keep it as default Started . Next Add the Load Balancer IP. Provide the Load Balancer FQDN Name. Select the Multicast which is used to communicate between two nodes. Port rule : Delete the default and change the port to 7444 and select the Affinity to None so that traffic will be routed to the both the nodes and in case if we select Single and it will send the traffic only to single node. 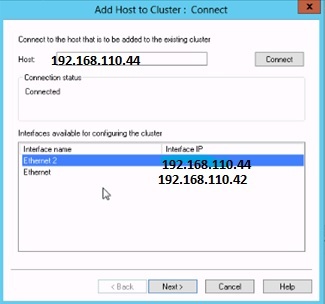 Select Add host cluster and connect the Second Load Balancer. Note here the priority it is 2 . 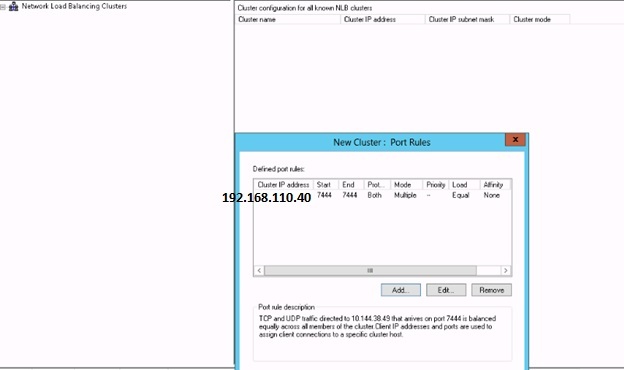 Once everything is configured then we can see the Cluster with the LB having two nodes and test the configuration by power down the one node and try the https://sso.vmware.com:7444/lookupservice/sdk link.Do the same test on the second node. 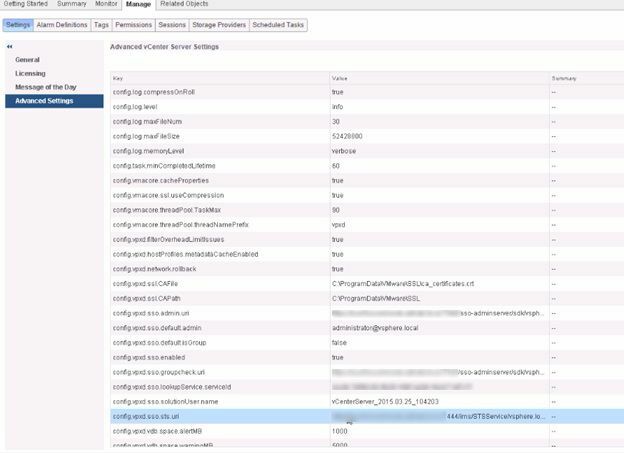 Provide the LB details while configuring the vCenter , Inventory Service and Webclient . We can find the SSOLB name with details by login in to the web client. Power down the SSO Node 1 and test the connectivity of the VC by having only the SSO Node 2 and do the same testing for the Node 2 also. This entry was posted in Certificate, High-Availability, SSO, VMware, Windows, Windows Network Load Balancing and tagged Microsoft Network Load Balancing, SSO, SSO LB, vCenter 5.5 SSO HA, vCenter 5.5 SSO LB. Bookmark the permalink.